Please use the button below to sign up for an account, add money to a BearBucks account, or check the balances of your card. Q: I would like to make a deposit for my student. Can I do this from the eAccount site? 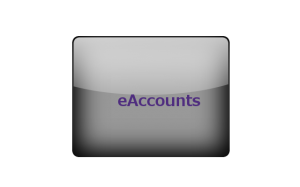 A: The password for eAccounts is not the same as your password for myUCA, be sure you keep the two separate. If you forget your password, you can use the link on the eAccounts site or call our office for assistance. Q: Why is my account locked? A: There is a good chance you attempted to enter the site using the wrong password too many times. Please call our office and we can assist you. Q: I tried to set up an account with eAccounts but I get an error when I try to log in. Why? A: You may not have finished the setup process. Please check the email account you provided and follow the link provided by eAccounts to complete the setup process.